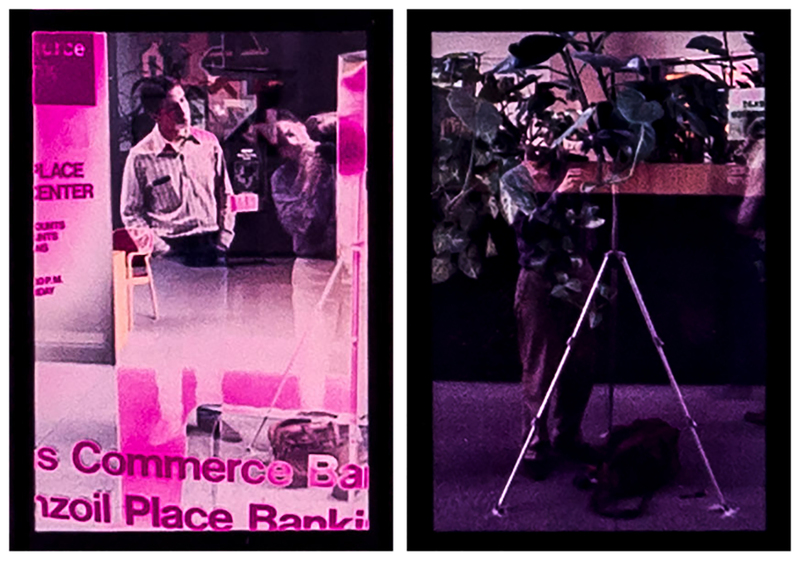 PENNZOIL 1983 (solarized) is a composite panoramic analog photo collage, printed as a contact sheet from color negatives onto chromogenic paper. It is solarized; exposed to light briefly during development. It is the lobby of the Pennzoil building in Houston TX. PENNZOIL 1983 detail are two frames showing reflection of artist at work along with his accomplice Steve Gay.